At the nearby Park Hyatt, removed from the bustling bar activity, we spend 15 minutes of convivial loneliness in front of a crackling fire until it slowly dawns on us that we are actually sitting in a nicely decorated smoking booth – we aren’t even on the servers’ radar. So off to the Four Seasons we go! The jewel box Jahreszeiten Bar is pleasant enough, but soon we learn that smoking cigars – “out of respect for our guests”! – is only allowed after 10pm. Feeling defeated, we turn to the last hotel on our list, for which we have high expectations. At the Hotel Atlantic, part of the Kempinski Group, a double swing door leads us to a smoking lounge in the farthest corner of the bar. We enter a large room with Chesterfield furniture and a view onto the light-filled atrium. We could definitely stay a while here, but had it been nicer outside, we would have preferred the terrace. In the nearby trendy neighborhood of St. Georg, we head to the flagship store of the Niemeyer Group, which boasts a Gilbert lounge. 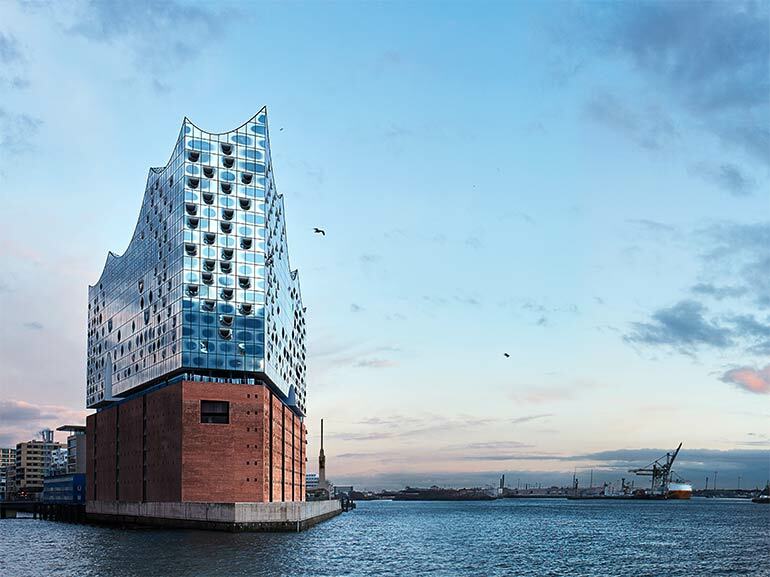 The manager confides that hotel bars are not patronized frequently by locals, and that Hamburg’s hotel industry is beginning to distance itself from cigars – confirming the impression that has come through loud and clear to us! As we continue our explorations, it becomes apparent that many local spots recommended to us are now smoke-free, or, contrary to our expectations, are only cigar-friendly outdoors, as at the lovely Bank Bar, which has a small humidor, and permits smoking only on the patio. Despite Hamburg’s meager offering of pleasant smoking spaces that are not exposed to the elements, the city does have several very good specialty retailers worth visiting. Pfeifen Tesch, a fourth-generation-run shop with old-fashioned flair, has one of the city’s largest selections of non-Cuban cigars in two separate walk-in humidors. 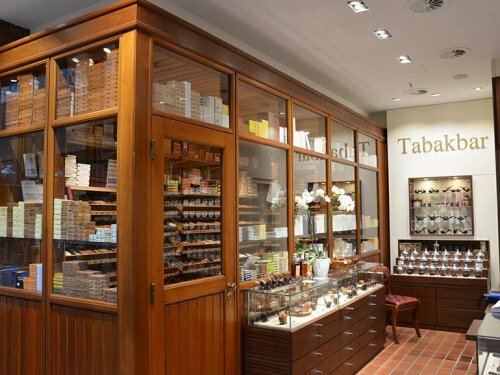 Only a few minutes away on foot, in the Hanseatic city’s vibrant heart, Tabacalera Hanseatica has opened its doors in the Großen Bleichen shopping arcades. Directly at the entrance to the arcades we also find Duske & Duske, a small shop that would be easy to miss if it weren’t for the guests sitting outside in all weather to enjoy a barista-poured coffee, port or Madeira with a cigar and to watch the river of people flow by. Christian Duske opens his store early in the morning for customers on their way to work; the stoic Hanseatic citizen is rarely seen without a cigar of his own. 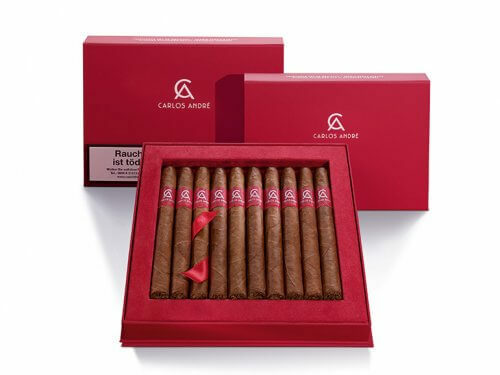 His tiny shop carries exclusively Cuban cigars and is considered a Hamburg institution. We discover a further one-of-a-kind shop somewhat out of the way in Hamburg-Altona. Der Zigarrenmacher (The Cigar Maker) is a small shop in which Stefan Appel, true to his name, can often be found with a chaveta in hand. Engaging the introverted shopkeeper in conversation isn’t always easy because of the constant flow of customers coming in and out of the store. While we wait for an audience, we seat ourselves in the mini-lounge at the end of the store and exchange cheers with a friendly group of cigar smokers. Here it is, what we’ve been looking for since we arrived: that homey “living room” atmosphere that so enriches the enjoyment of cigars. 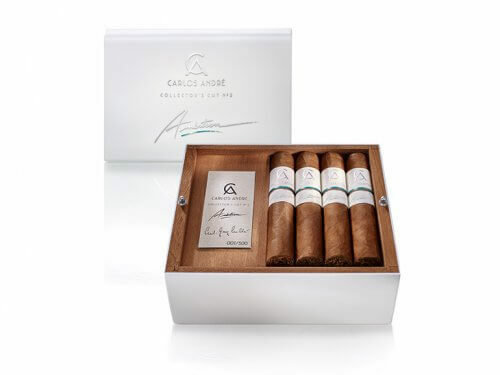 Near the Speicherstadt (warehouse district) at the harbor, where tobacco has found its way to Europe for hundreds of years, we enter the La Casa del Habano. 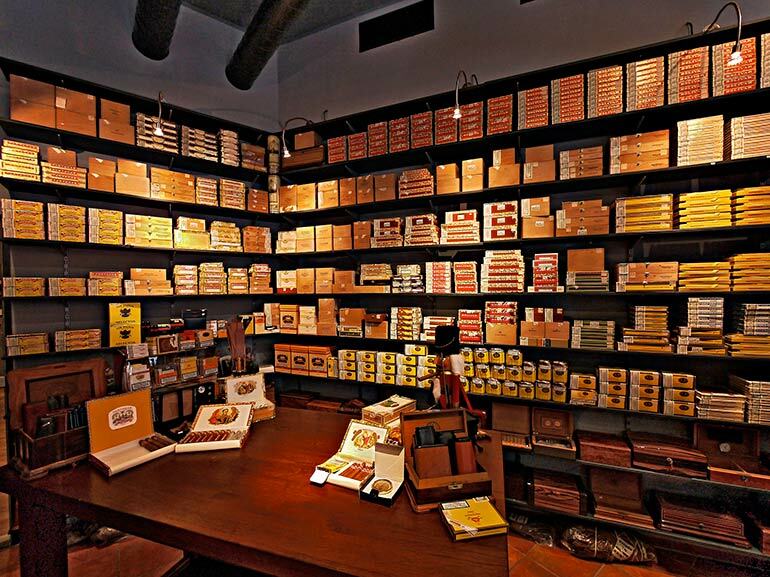 Proprietor Christoph Wolters offers a comprehensive Habanos selection, wine and spirits, in addition to space to enjoy cigars. He good-naturedly grumbles that he has trouble clearing out all the guests at closing time. 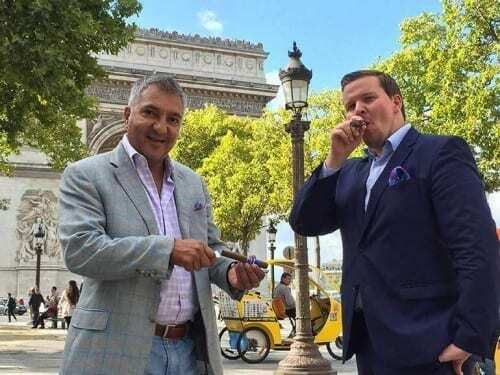 We are not surprised: the city seems to lack places to smoke after business hours, for visitors and locals alike. We meet with Gerhard Heimsath, the entrepreneur behind the German cigar platform Art of Smoke, at the Old Commercial Room – a Hamburg restaurant with cult status – to ask him about the local cigar scene. 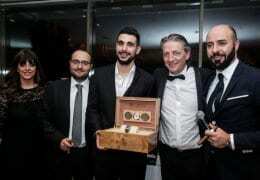 He agrees that the number of venues in which cigar smokers are welcome is not huge, but there are many spots that would be happy to close their doors for a cigar evening every once in a while. It’s in one of these “insider spots” that we now find ourselves: Heimsath has had the restaurant’s legendary Red Room opened specially for our group. 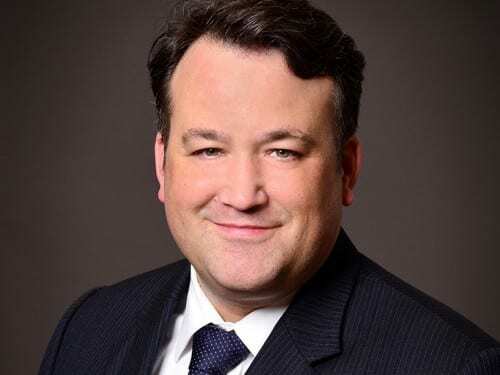 In general, the average Hamburg cigar fan would smoke at home, he says, but there are some loosely arranged groups that are able to make regular meetings happen in rotating venues. 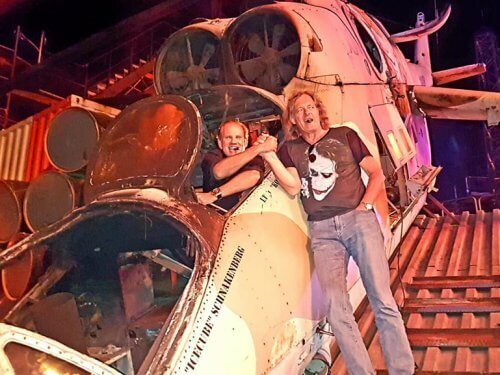 For instance, he organizes gatherings in high Hanseatic style aboard an old freight sailing vessel that usually functions as a museum. 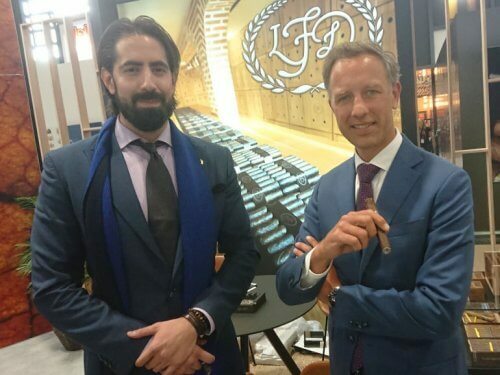 That evening, we attend an event hosted by Hamburg’s newly active Food & Gourmet Club, whose mission is to reunite fine dining with cigar smoking. In the pleasant Hunters Bar & Grill, which has been specially closed for this evening, we sit across from two long-established Hamburg residents who are always looking for new opportunities to enjoy the fine smoke. They have nothing but the best to say about organizer Sascha Hoselmann, but also confide that in this city, there aren’t many opportunities to enjoy a smoke while dining without being exposed to the elements. So where do the two of them prefer to smoke? Outside at Mr. Duske’s, says one, and the other: anywhere it’s not forbidden!